Healthcare providers of all types and sizes are quickly embracing telemedicine as a way to increase revenue, reduce costs, protect against competitive threats, and meet the needs of modern patients. Today’s technology makes it easy to accomplish all of this and more with little upfront investment and simple deployment options. There are, however, a few important steps you can take to make your program a success and avoid some common pitfalls. Here are some of the best practices for launching a telemedicine program that our clients have discovered. At the outset, it is important to outline exactly what you hope to get out of your telemedicine program. You should set goals related to measurable objectives such as revenue, wait times, no-shows, customer satisfaction scores, administrative costs, and any other metrics that are important to your practice. By doing this, you’ll be able to assign a value to your telemedicine program and measure your success. Telemedicine has the potential to impact a number of functional areas within the practice, so it makes sense to gather a small project team to oversee the roll out. Usually this involves any providers who will use the technology, appointment schedulers, accounting, technical resources if you have them, and other business functions that might be able to help, such as marketing. Making one person the project leader is an effective way to make sure that the project runs smoothly. The good news is that legislators and private payers are becoming more progressive in terms of their approach to telemedicine. Currently 26 states have so called “parity” laws that require the reimbursement of many video visits on par with in-person visits, and more have legislation in progress. The bad news is that there is still a large degree of inconsistency, so you need to get to know any rules regarding which patients can be cared for this way, whether there are any limits on the types of services that can be provided and how payer reimbursement is approached in your state. There are several types of telemedicine technology on the market, with the most popular (and the most frequently reimbursed) method being live audio and video. You’ll want to select a partner with a solution that will be easy for providers, staff and patients to use; highly secure and HIPAA compliant; and integrated with your EHR solution. The best solutions on the market also have a system to verify reimbursement eligibility before every visit. Finally, you’ll need to make sure your partner will sign a HIPAA Business Associate Agreement. It doesn’t have to be complicated, but you do want to determine how you will let your patients know that this service is available and train staff to offer it when appropriate. You might consider blocking certain times during the week for video visits, or making them available during times that the office isn’t traditionally open. One quick tip to increase utilization and revenue is to conduct follow up phone calls (which aren’t usually reimbursable), by video (which often is reimbursable) instead. Surprisingly enough, this is the easiest part. Modern cloud-based solutions require very little configuration, except a some setup related to the integration with your EHR or practice management solution. Your vendor should be happy to offer any help that you need. Do plan on setting aside some time for a bit of training to get everyone up to speed, but if you’ve selected well designed telemedicine technology, it should be a breeze. 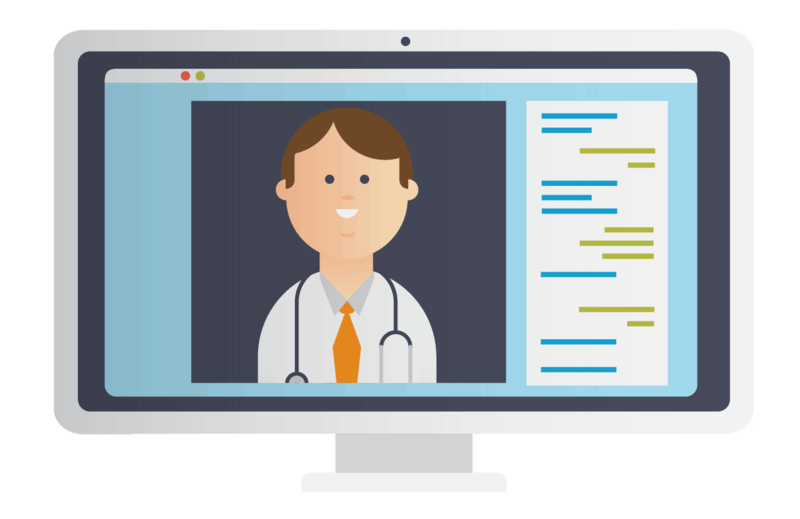 Your patients and staff will give you good insight into the health of your telemedicine program. Our most successful clients set up a system for frequent feedback and invite a conversation around the approach. Once your program is off and running, don’t forget to look back at your goals and frequently measure how you are doing so that you can make adjustments if needed. Be sure to recognize and reward your team when objectives are reached. Your telemedicine program can have a profound impact on your practice so it makes sense to approach it with thoughtful planning. If you adhere to these best practices, adjusted for what may be unique about your practice, your path to a thriving telehealth program will be smooth sailing.